Menorca is one of Spain‘s Balearic islands set in the turquoise Mediterranean sea. Renowned for endless beaches, sandy crescents, and a tree-fringed coast, the place was officially named a Biosphere Reserve in 1993 in an effort to protect the natural beauty of its surroundings, a scheme which also aimed to engender a positive relationship between humans and the array of wildlife that have made Menorca their home. Today, the idyllic landscapes and warm waters of Menorca draw thousands of tourists every year who visit to marvel at the natural beauty of the area. The beautifully decorated winery of Bodegas Binifadet opened in 1979 as one of Menorca’s only high-quality winery and restaurant establishments. The rustic brick interior sets a romantic and tasteful mood and includes barrels lining the walls and wooden low-hanging lights. This lovely interior design by Lluís Vives was meant to promote a warm and enjoyable atmosphere, and to this end, it succeeds wonderfully. Free guided tours of the winery are held daily at noon or by appointment, and each one is followed by a delicious lunch. Included in the tour is the tasting of two delightful wines, as well as a sample of Binifadet’s homemade goat’s cheese marinated in red wine. This tour is unique and welcoming and is a great chance to explore the workings of a charming winery. All of the products here are naturally grown, an example of a sustainable production method which is in keeping with Menorca’s status as a Biosphere Reserve. Watch out for: Bodegas Binifadet’s wine-based jams. Awarded a ‘Certificate of Excellence’ by Trip Advisor, Mahon Port is the world’s second deepest natural port. The views here are remarkable as the spot overlooks the town from a great distance, allowing for panoramic vistas to be enjoyed of the entire landscape. Taking a long set of stairs down to the harbor-front brings guests into a calming, stress-free atmosphere right by the sea. As well as the restaurants, bars and boutique shops set around the harbor-front, a famous gin distillery is also located here and is definitely worth a visit. 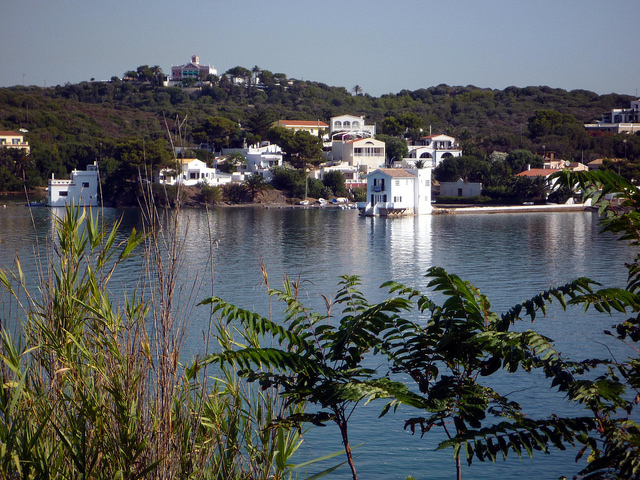 Whether docking a boat or just driving in for a day trip, tourists should go on a one-hour boat tour around the harbor here, a trip which provides insight into Menorca’s history whilst also educating about the modern aspects of the island. On certain days spectators may watch cruise ships docking or will be able to see some brightly-colored, beautiful fish. Mahon Port offers a lot to do, but simply being here and strolling along the walkway is an enjoyable experience within itself. Watch out for: restaurant Rainbow Spice, which can be found directly on Mahon Port. Although a tiny island, the Isla del Rey boasts a ginormous amount of historical significance. It began as simply a hospital for sick and injured British soldiers in 1711 but was later used by the French, Spanish, American, Dutch and Italians too as a site for medical aid. When a new military hospital in Mahon was built in 1964, the Isla del Rey was left abandoned and now remains as a desolate, protected natural site. Important local plants and vegetation grow here, and recently the ancient stones of building remains have been discovered, presumably from a Paleochristian Basilica. Nowadays a non-profit organization named The Foundation protects and studies the island. Their main focus is safety, development, and promoting the island by holding different events. Every Sunday morning they hold volunteer maintenance gatherings which are open to the general public, and they also accept monetary donations as well as physical donations, such as construction materials. Watch out for: unique and colorful fish and other small yet lovable aquatic creatures. Whether your heart aches for luscious views of dawn, a Menorca sunset or a glimpse of the moon over the ocean, Cova d’En Xoroi offers stunning landscape vistas which never seem to fade in beauty. A combination of cliffs and rocks strategically located off the southern coast, Cova d’En Xoroi is a stunning place which invites guests to delve into Menorca’s colorful past. Local legends tell the romantic story of Cova d’En Xoroi’s beginnings, tales which are entwined with mythology and deep, passionate love. During the high season the place is open every day until sunset, and sometimes in the evening there are disco nights, live music and themed parties held here. Watch out for: Different patterns and images carved into the rock walls. 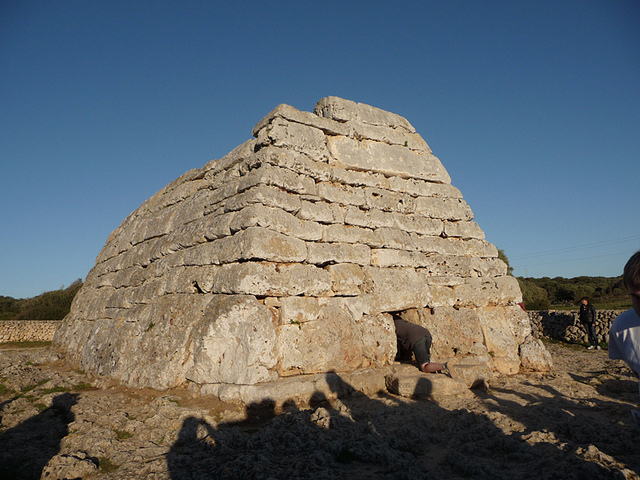 The 3,000-year-old Naveta d’es Tudons serves as a magnificent monument and a brilliant, physical reminder of history to those in Menorca. When first built this “naveta,” meaning vessel, was used as a collective funeral chamber. It was constructed by connected stones, shockingly with nothing besides the stones themselves holding the vessel together. Menorca legend believes that giants had been fighting over the love of a young girl, and this is the cause for the single missing stone at the front of the figure. When the chamber was later excavated, human bodies were found inside along with bronze jewelry, ancient weapons, ceramic bowls and other precious ornaments. Boldly set on the western side of the island, the exterior of the Naveta d’es Tudons is open to the public daily as a wondrous sight. Archaeologists are astonished by how well this megalithic structure has been preserved over time, as it is still in essentially perfect condition today. Watch out for: the surrounding landscape, it is truly breathtaking. The fun-filled, multipurpose Aero Club and Hippodrome have special offers and events that will excite locals and first-time visitors to Menorca. This hotspot is located in the small village of Sant Lluis and was recently converted into an amusement location. It served as the only airport in Menorca until 1969 when a larger, modernized airport was built. The place still houses planes, though, and guests here can take leisurely flights around the island, can participate in a guided tour of the island from the sky, or can enjoy private lessons to become a certified pilot. Besides flying opportunities, Aero Club and Hippodrome is also home to a full bar and restaurant as well as a go-karting course for the whole family. Throughout the winter season, the hippodrome hosts horse races every Saturday evening and Sunday morning. Entrance for all guests is free. Watch out for: Aero Club and Hippodrome also hosts private events. Recipient of Trip Advisor‘s 2014 ‘Certificate of Excellence’, Jeep Safari Menorca ensures that tourists get a fully authentic, worthwhile and amazing natural experience of the island. Jeep Safari offers three unique yet equally spectacular excursion offers for visitors to choose from: The Explorer, The Archaeological Expedition, and The Sunset Experience. Traveling in original 4×4 Nissan Patrols, an experienced professional guides guests through back roads and wooded areas to sites that are off-limits to the public, while providing compelling knowledge about Menorca. What separates each excursion from the next is that The Explorer is more of a guided tour, with a stop for lunch by the sea and time to relax and swim. Food is offered, but not included in the original prices. The Archaeological Expedition focuses primarily on seeing the plant and animal life of the island, whilst The Sunset Experience focuses on traveling the coast and taking in magnificent landscapes. 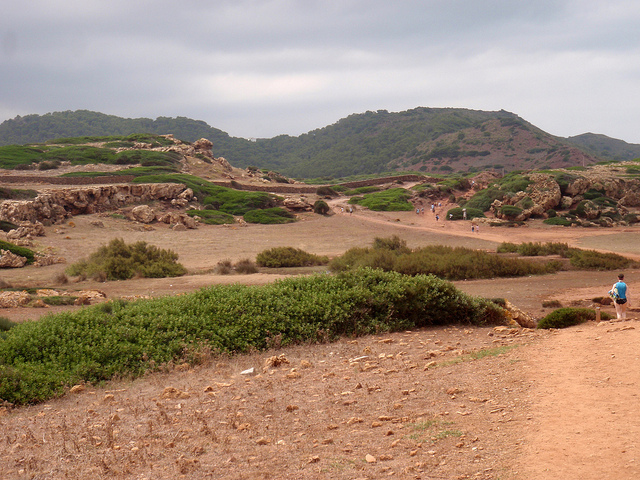 Also recently added to Jeep Safari Menorca are bicycle and hiking excursions. Each trip lasts for two hours and many provide special bonuses for on-board guests. Watch out for: guests above the age of 23 with 5 years of driving experience and a valid driver’s license presented may be able to test drive the Patrol vehicle onboard. One of Menorca’s most exhilarating and inspiring adventures, Planoram Paragliding gives tourists the experience of a lifetime. This tandem paragliding jump is a carefree and safe choice, as all guests are accompanied by a professionally certified pilot. Furthermore, an electronic parachute is included. To ensure that gliders are not preoccupied with safety concerns, pilots are in charge of all flying manoeuvres, including take-off, controls and landing. Each paragliding flight can last anywhere between 15-30 minutes depending on wind levels and weather conditions. Planoram is open in Menorca year-round, and some seasons of the year are more difficult to fly than others. Guests can choose to fly in either Monte Toro, Son Bou Rock or S’Enclusal, all of which are highly spectacular sights. Watch out for: choose to paraglide at specific times for better views. For example, sunset. 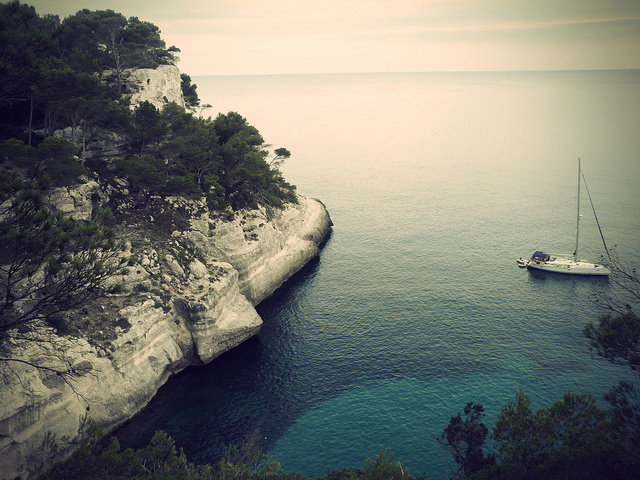 A truly unique beach experience can be enjoyed when visiting the Cala Pregonda. 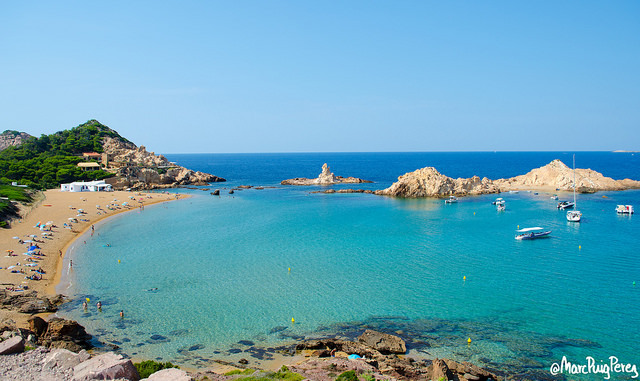 It is located on the northern coast of Menorca, and although it has a gorgeous sister beach nearby, this is the spot that should not be missed. Visitors get the best of both worlds here. Warm, golden rocky landscapes form one side of the water, and earthy green trees and lush forests make up the other. These two contrasting sites come together in the center with a sandy beach, the perfect spot in which to relax and enjoy the surroundings. Cala Pregonda is accessible by car, but once parked, visitors have to walk for 30 minutes or so before reaching the beach. Another option is to travel to the beach by sea, either on a boat, kayak or jet ski. Lastly, the beach’s mission is to maintain the natural beauty of Menorca, keeping it alive and well for as long as possible. For this reason, it is frowned upon to leave any trash on the beach after your visit. Watch out for: the rocky island in the middle of the bay; it is perfect for climbing and exploring. Arguably one of the greatest open-air museums in the world, the Cami de Cavalls is an ancient path around the island of Menorca that showcases a multitude of ecosystems filled with hundreds of species of animals, including various endangered species. The footpaths take visitors to sites and scenes that they can marvel at, and the 185 kilometer walkway can be traversed on foot, by bike or via a trek. This serene path is not only beautiful but extremely historical. Ancient history is kept alive through this path and those who trek it. Watch out for: ancient watchtowers and lighthouses as well as the hidden coves of the island.